The first year of college has kept me awfully busy. However, I did manage to make some climbing friends at school and was surprised to find just how many students climb. Cal Poly has just started its collegiate climbing team and I'm excited to be a part of it. This summer has been all about getting back in shape so I can confidently compete for the Cal Poly team. 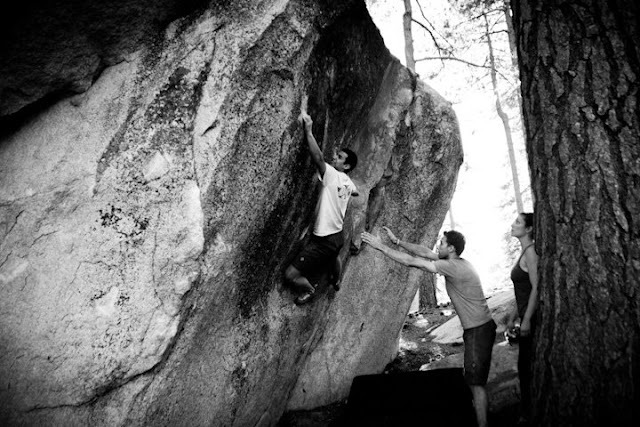 I have been making day trips to Black Mountain to boulder and develop this beautiful summer climbing destination.